Pretty white rose hairpin. 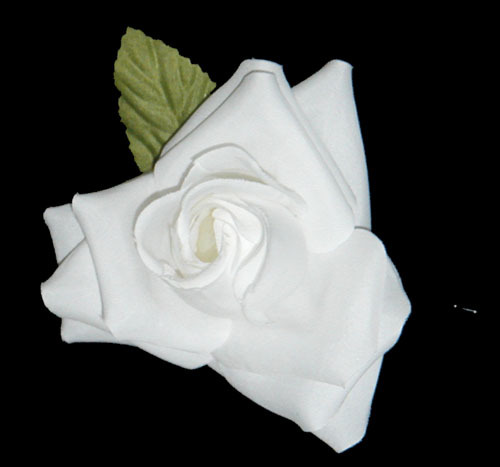 Large white rose and leaf on metal hairpin. Size and texture of flower may differ slightly.